Historically black colleges and universities (HBCUs) accept students of all races but are still largely attended by black students. A new documentary following a white HBCU student has garnered a lot of criticism. VICE has covered white students attending HBCUs before in another article, and Adams admits it was that article’s author, David Dent, who gave him the idea for the documentary. Other news outlets such as CNN and The Nation have done similar profiles as well. 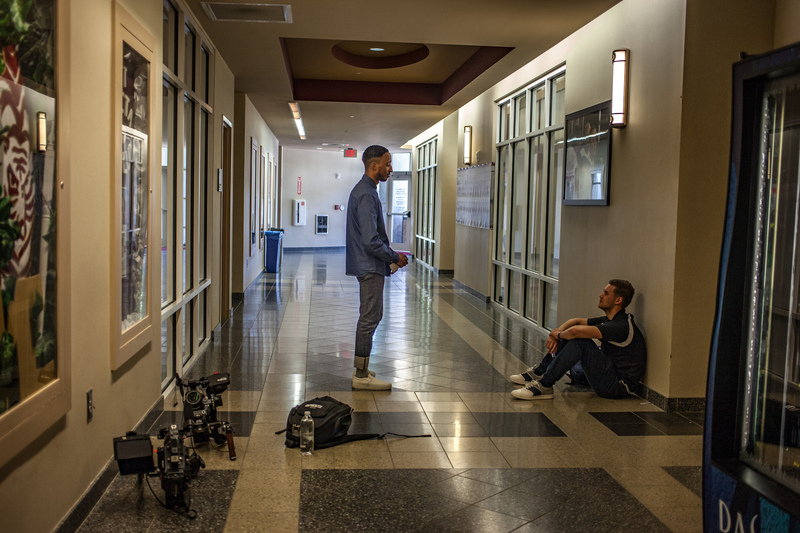 Tiago Rachelson, a freshman majoring in sociology at Morehouse, is the white student VICE profiles in the documentary, and is one of several white students profiled in Dent’s article. Rachelson had dreamed of attending Morehouse since high school and during his first year there, he served as president of Graves Hall, one of the more popular dorms on campus, and was a campus tour guide. In addition to Rachelson, Adams also talks to other students from Morehouse and other HBCUs in the Atlanta area, professors and an employee from the Morehouse communications office. While there will always be people who question the necessity of HBCUs, the documentary validates the criticism of HBCUs instead of refuting it, casting these institutions and their students in a negative light. Before watching the documentary, I assumed it was going to focus more on Rachelson’s experience and give viewers a sense of his day-to-day life at Morehouse. After finishing the video, I felt a level of discomfort with how it was framed and the types of opinions included. Although Rachelson’s friends seem to accept him and there is not outright hostility directed toward him, there was a sentiment shared throughout the video that too many white people entering an HBCU would damage its culture. Adams doesn’t do anything as the host to break down this feeling. In his own VICE interview and the documentary, Adams does bring up a valid point about the lack of media coverage of HBCUs and their students, but the comments he chose to include in the documentary weren’t necessarily helpful in advocating for HBCUs and what they do for the black community. In a scene that got a lot of backlash in the YouTube comments section, Adams speaks with a group of students from Morehouse and other HBCUs in the area in an auditorium. One student says that “there is nothing that a nontraditional student can bring to the culture of Morehouse, Spelman and Clark” and another says that he “would feel disrespected” if Morehouse increased its white student population by large margins. Many commenters called the students hypocrites and racists, because white people would not be able to express similar views about black people without criticism. While I definitely found what the students said during the scene to be problematic and, at times, hypocritical, comparing them to the KKK, like one commenter did, is extreme. Another scene that elicited a particularly incendiary reaction from commenters was when Adams talks to Robin Marcus, a professor and Howard alumna, who openly stated that she was against white students attending HBCUs even if they were completely committed to the mission of these schools. Her reasoning was that white students don’t understand what these institutions mean to black people. Speaking as a black woman, I’m just really afraid that this video made some of the viewers assume that all HBCU students and professors­­ — or even worse, all black people — think this way when they don’t. I’ve already found some comments that confirm this fear. While there was a lot of criticism directed toward the students featured in the documentary for their comments, there was one young woman who was in favor of bringing more white students to the Atlanta University Center Consortium, the coalition of Morehouse, Spelman and Clark Atlanta. The immediate opposition to the first woman’s statement about sharing their talents as black people made me slightly sad because it was the only one I really agreed with in the whole documentary. Taking an African-American studies course is not the same as going to an HBCU. A class barely scratches the surface of what white students would experience if they attended HBCUs. These institutions will always have a rich history of nurturing young black minds at a time when no one else would. I think white students and other non-black students of color who want to immerse themselves in the HBCU experience should be allowed to do so. “We can’t use the same rhetoric that was used against us,” wrote one commenter. Black HBCU students should remember this when trying to achieve the equality they seek outside of the mossy brick walls of their schools.